The general educated reader in Pakistan has every reason to cheer up as a new magazine, entitled FYI, has emerged on the horizon of quality publications in the country. 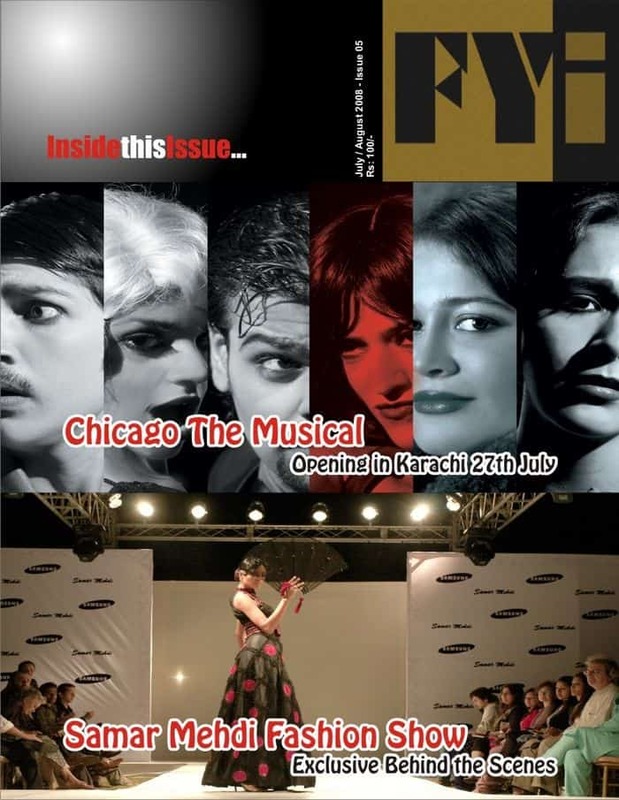 Making its debut from Karachi in summer 2007, FYI is a glossy mag in English, stylish in look and feel, publishing enthralling pieces on sundry issues from a diverse team of writers. Articles, commentary, reviews, interviews, and updates on the country’s coolest matters make the pages of this mag an irresistible attraction. Added to these are high-quality photos from the world of fashion, entertainment, and important events in art. The audience of FYI is broad; every educated reader, who enjoys reading in English, will be charmed by at least some part of the mag, whether it is fashion, literature, socio-cultural issues, entertainment, politics, art, health, or food. The editorial team shows its skill in squeezing so many areas of interest into the numbered pages of a single edition. Two main categories that are expected to be included in the future editorial calendar are ‘science’ and ‘sports’. It is worth mentioning that, at the end of every published entry, FYI asks its readers to share their opinion on the issue. Reading the mag is an interactive experience. The most notable quality that distinguishes FYI from most other English magazines in Pakistan (and there are not many) is its balanced proportion in content selection. Most English mags in Pakistan are heavily bent on either of two main areas: fashion and politics. But FYI is a more rounded treat, closely approximating those reputed international magazines which provide a synoptic view of the world; FYI gives a bird-eyed picture of all things Pakistani. This quality of covering more ground is the richness that has brought popularity to FYI and it is also a key factor in achieving a greater degree of objectivity. FYI is currently published on a bimonthly basis – once every two months – the sixth issue of the mag being scheduled for release in September. It is really hard to wait for every future issue, always wishing that the mag will switch to a monthly publication. Also, FYI is not yet available through most of the country, its distribution confined to Lahore and Karachi. However, any issue may be ordered directly from the editors.